NTR said before the release that 'Janatha Garage' has no hero. Whether that matters to you or not, let it be said that it has no villain. And for a film with two larger-than-life heroes (played by NTR and Mohanlal), there can't be a bigger flaw. Sachin Khedekar (as a ruthless businessman) walks up to one of these saviours now and then, warns, gets warned, goes back, shows frustration. Repeat. As he says in a scene, giving voice to our frustration, "The same old song". Gosh! Such a brilliant Freudian slip. Sathyam (Mohanlal) set up a garage, started off wearing the 'Sarkar' hat and eventually grew up to be Sathyam. As he lost his brother and wife due to rivalry, Sathyam asks his dead brother's wife's brother to bring up Anand (a kid who grows up to be an environmental researcher, played by NTR) away from his shadow. Two decades later, Sathyam has grown up to be a messiah whom even the 'sarkar' (government) fears. In Mumbai, Anand has his pet agenda as an ecological activist, a lovely relative (played by Samantha), and a stepfather (played by Suresh) to boot. Research brings him to Hyderabad, where he crosses paths with Raghava (Unni Mukundan), Sathyam's ambitious and unethical son out to mine the land. Anand is asked by Sathyam to meet him and there is raised the curtain for a macabre collaboration that is difficult to contain. Clearly, Koratala had just one line going for him: A gutsy, youthful Nature-lover teaming up with a gutsy, middle-aged Sarkar. NTR might have very well been carried away by this element alone, for there are no others that are worthy to be talked about save this. Story-wise, it's like that cow story 'tamasha' where the story starts with aeroplane , Prime Minister or Donald Trump, but as it progresses, everything boils down to cow. There comes a point in the second half when the family story becomes too much to take, even to the extent of having the deviant son have an airy wife who drinks and slaps. 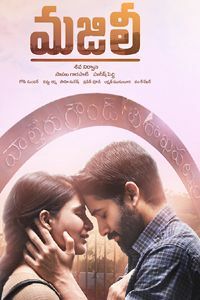 To make sure there is a situation where Anand makes a personal sacrifice in favour of greater good, Samantha's character was created. As for Nithya Menen's character, her purpose is to let the audience have a representative who violates environmental ethics on a daily basis. Sai Kumar as a cop is there to elevate Mohanlal or NTR. Whenever he makes an entry, the pace seems to take a beating. After a point, the acolytes' (played by Ajay, Banarjee, Brahmaji and others) presence becomes a trivial matter. The focus on the hero's relations becomes so oh-too-much that the villain goes missing after a bomb blast which he conspired. As for the highlights, the scenes involving Mohanlal individually in the first half and the combination scenes involving NTR and Mohanlal in the second, should come first. The action sequences where Anand teaches the baddies about Nature's furious ways is another high. But the biggest one comes in the first few minutes of second half where Anand saves a government official (played by Rajeev Kanakala) threatened with dire consequences. The scene following NTR's promise to protect Rajeev, involves the officer's wife. In the next scene, Rajeev's character is elevated among his colleagues. This is an example of intelligent writing where the hero appreciates the virtues of another because he himself is socially conscious. 'Pratheedi chinnade, Nature tho polisthe'. (Compared to Nature, everything is insignificant). 'Chacchipothadu MLA, I mean, Oxygen leka pothe..' (The MLA will die, I mean, because of lack of oxygen if the trees are destroyed). NTR's performance is, once again, a high. 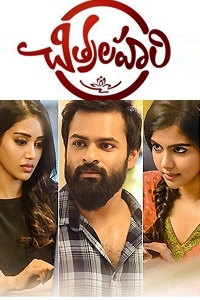 After 'Nannaku Prematho', here is yet another film where you see a different him. He gets the expression right, although he was better in his previous film looks-wise. His dance moves are beautiful in 'Apple Beauty'. If DSP's music and BGM are good enough, the Midas Touch is missing as far as the songs are concerned. Thirru's cinematography is good, but not as brilliant as in the case of his previous outing '24, which used lighting a new fashion. Verdict: A routine hero-versus-villain story with a small innovation in the hero's characterization. Watch out for NTR and Mohanlal's performance.